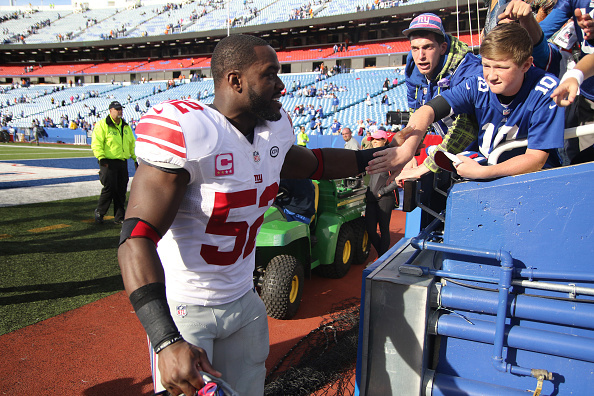 Fresh off the heels of his release from the Giants earlier Wednesday, veteran linebacker Jon Beason has announced he is retiring after nine seasons in the NFL according to Aaron Wilson of the National Football Post. The 31-year-old Beason was the 25th overall pick of the 2005 draft by the Panthers and spent the first six-and-a-half seasons of his career in Carolina before being traded to the Giants midway through the 2013 campaign. He appeared in all 48 games from 2005-2007 before injuries tore his career apart. He has appeared in only nine games the past two seasons. Beason has battled numerous knee and foot issues and needed another knee surgery this offseason. He was a three-time Pro Bowl selection and one-time first-team All-Pro.